Can a Husband Take a Family Car During a Divorce? When couples divorce, they must split their property, including assets like cars, bank accounts and the family home. Spouses generally have equal rights to their marital assets until a court says otherwise. However, many states issue automatic temporary restraining orders, or ATROs, that keep spouses from taking assets, including cars, while the divorce is pending. Once a court enters an order addressing property division, including vehicles, the spouses must follow that order. 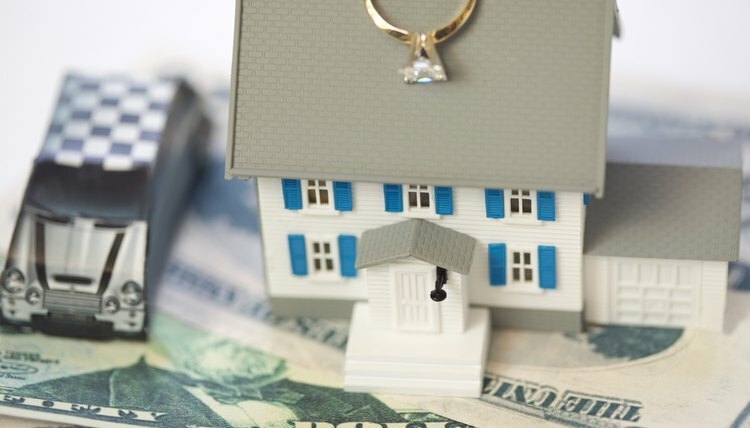 Each state sets its own rules for property division, but generally give divorce courts authority to divide marital property, which is property acquired by either spouse during the marriage. Spouses typically can keep their separate property, which is property acquired before the marriage or by gift or inheritance during the marriage. Thus, if the vehicle belonged to your husband before your marriage, he will likely get to keep it. Courts do not rely on which spouse's name is on the vehicle's title, however. If the vehicle was purchased during the marriage, it will likely be considered marital property even if only one spouse's name is on it. Spouses can decide for themselves how to split their assets in a divorce, so you and your spouse can agree to a property division that works best for both of you. Generally, judges adopt such agreements, sometimes called settlement agreements, as the court's ruling. This makes them enforceable later as part of the divorce decree. You and your spouse can agree to let him keep the family car while you keep another similarly valued asset. If you and your spouse cannot agree about how to split your property, the court will decide for you. Since property is not actually split until your divorce is final, your vehicles can remain jointly owned until a judge issues your divorce decree. If you need a decision about your vehicles and other property before your divorce is completed, you can ask the court for temporary orders addressing key property issues. Many courts use standing orders -- automatic temporary restraining orders -- that are issued in every divorce case. ATROs prohibit both spouses from selling personal property like a vehicle or taking other significant financial actions while the divorce is pending. These orders are often automatic, meaning the order is issued automatically as soon as one party files the divorce petition. Even when courts do not automatically enter such orders, they may be available upon request. If your vehicle was purchased with a loan, your divorce decree or settlement agreement can also address who pays the remaining debt. For example, if you and your spouse both signed the loan paperwork, you both remain liable to pay the loan even if your spouse gets the vehicle as part of the property settlement. To avoid this problem, your divorce decree can order your spouse to refinance the loan in his name only or order the vehicle to be sold with the proceeds split between you and your spouse. Loans.org: What Happens to Our Joint Auto Loan When We Divorce? Can a Divorced Woman Keep Her Husband's Last Name? After a divorce, a woman is free to keep her husband's last name, revert back to her maiden name or choose an entirely new name of her liking. Although name changes are controlled by state law, most states allow individuals to change their name with relative ease. Therefore, after divorce or even during marriage, a woman is free to take any name she chooses. Divorces frequently include property division. Before a divorce and maybe even before contacting a divorce attorney, you and your spouse may verbally agree how to divide property. The two of you may even sign quitclaim deeds to each other conveying real estate before or during the divorce process. Although deeding property prior to the entry of a final divorce decree may seem like a good idea in theory, there may be numerous reasons to postpone the conveyance until a divorce has been finalized. Does a Divorce Decree Nullify a Car Title? A divorce decree is a court order signed by a judge when she grants a divorce. Depending on the circumstances, the decree may include provisions for transferring property and allocating debts of the marriage. Although the divorce decree can reassign ownership of vehicles and other property, the decree does not nullify or invalidate the title. The parties must request a new title from the vehicle registration agency in the county where the vehicle is located. What Happens When a Judge Awards a Piece of Property in a Divorce Decree? How Will it Affect Me if My Husband Is Going to File for Bankruptcy Before We Divorce in California? Is Husband Responsible for Wife's Car Payments After Saying She Is Divorcing?